I’d like to begin this update with a confession/apology of sorts. I haven’t been a good blogger recently, as you may have noticed. 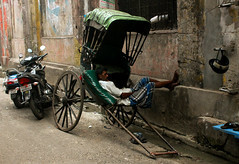 A mass, debilitating cocktail of laziness, disorganization, procrastination, over-contemplation, minor hibernation, misplaced inclination, and a severe lack of either determination or concentration, has led to a notably sparse and eerily quiet acknowledgement of life in the world’s most densely populated nation. I promise I’ll try to make a more concerted effort in future to check in. If I can attempt to put forward a lacklustre defence of my blog neglect, my mind has been clouded due to a current period of substantial reflection. It dawned on me that it’s just over a year to the day (December 1st 2010) that I disembarked from a taxi and dragged a whole year of my life (contained in two bags) into the main terminal of Kigali International Airport (Rwanda). It was the early evening. The taxi ride was pleasant. It had been prearranged with a driver I’d met earlier in the week, and we took a leisurely drive through the city. For some reason his sister was sat in the back of the cab with me. I didn’t ask why, but instead impressed them both with my ‘knowledge’ of Kinyarwanda. Of course, when I say knowledge, I do in fact mean I recited all the words I knew in no particular order or with any great meaning. We enjoyed a leisurely drive as the sun set over the hills, which had become oh so familiar by this point. I was now taking them for granted, something I’d later come to regret. Anyway, after I’d said murabeho to my driver and his sister (a Kinyarwanda word used to express farewell to a person you’re unlikely to see again for an unspecified amount of time, which therefore presents a depressing feeling of finality), I entered the airport, passport in hand, and vivid memories of an incredible year divided between my mind and the memory card in my camera. It was then with an intense degree of reluctance and a heavy heart that I checked in for my flight back to London and onwards. A year had passed since my arrival in Rwanda, and it’s now a little mind-boggling to think that a further whole year has passed since my subsequent departure. Last year my birthday was celebrated in the maze that is Stone Town, Zanzibar. This year it was spent in Kathmandu, Nepal. I’m an incredibly fortunate person. I’m filled with contrasting emotions when I reflect upon this. On the one hand of course I’m grateful for the direction my journey has taken post-Rwanda. I currently teach an amazing group of students who make teaching a real pleasure. I’ve also had the opportunity once again to experience life in a completely different part of this crazy world. The dramatic learning curve continues and as such I get to meet an array of weird and wonderful characters en route. However, I often find myself daydreaming about life in Save (my village in Rwanda). Thoughts drifting back to those epic Braveheart-style battles with ants (the ants representing the role of the Scots of course as they justifiably battled for their freedom to live unrepressed in my yard), the daily bread conversation with the lady in my regular shop. ‘Ufite umugati?’ I’d begin. ‘Yego’ was always her response. Then we’d laugh, exchange bread for amafaranga (money), smile at each other and there ended another bread transaction. We both knew the same process would occur the very next day, but we were fine with that. I think about the banter with the bus guys, the sheer joy and relaxation of sitting in my yard after school with a book and a cup of tea. Then of course there was the exhilaration of collecting rainwater and utilizing it as economically as possible. The sense of achievement in visiting a market and conducting a conversation in Kinyarwanda and coming away with everything I’d planned to get, and the moment I’d clamber onto an already overcrowded bus to intense stares, which were transformed quickly into warm grins as I sheepishly wished my fellow passengers a good morning in their own language. It sounds trivial, but these were the things that mattered. They were events which meant I was really ‘living’ in Rwanda, and I miss them. I’m actually a little worried about how much I miss them. Fortunately, in recent weeks I was twice given the opportunity to really discuss the experience of Rwanda in great detail once again, and I’ll write more about this next time. Below are two images which demonstrate just what I miss about ‘The Land of A Thousand Hills.’ The second is the scenery close to my house, and on the first is two of the classrooms at my school. So, this blog update was basically an opportunity for me to, a) apologise for not blogging, and b) to reminisce about the not too distant (but distant nonetheless) past…which I used to blog extensively about! In the coming weeks I’ll write about just how the students at AUW are embarking upon a cricketing journey with the assistance of an ‘international’ coach (not me) and also how one member of staff at my university gave me an incredible insight into the Rwandan genocide. He was there. One final point – my African and South Asian experiences were connected on a recent trip to Nepal in early November. I was able to meet up with a fellow volunteer from last year, Mitesh, who’s currently doing some great voluntary work in Delhi. 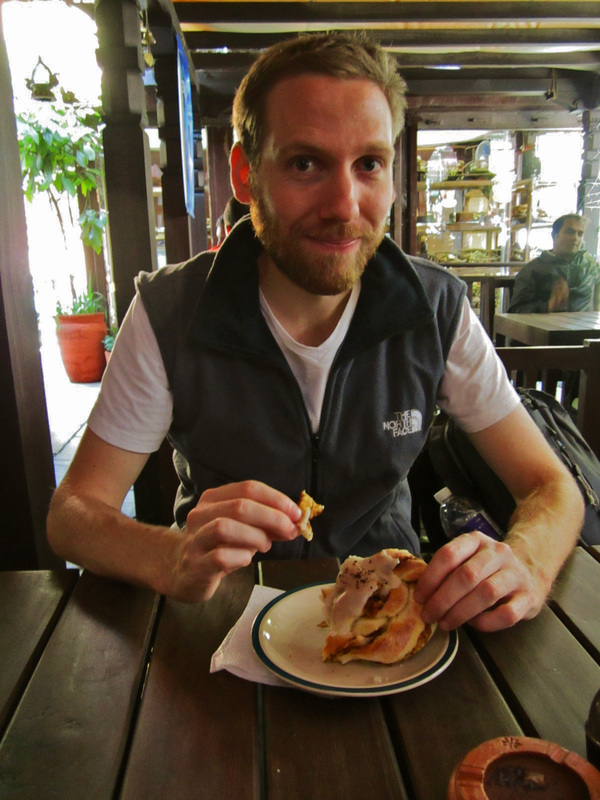 We caught up in Kathmandu and shared tales, some old and some new. It was strangely therapeutic and went a long way to alleviating some of those Rwanda yearnings that sit quietly, but prominently in the back of my mind. 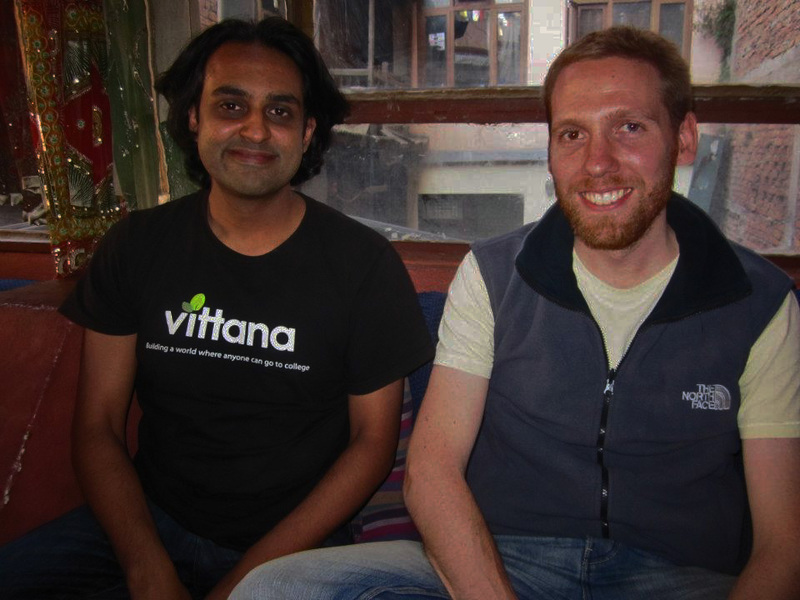 Below is a photo of Mitesh and I in Kathmandu, and the other shows my attempt at the ‘Ben Fogle’ look. Until next time. This entry was posted on December 5, 2011 by johnstanlake. It was filed under Uncategorized . Great post John. I’ve also been missing Rwanda more than usual now that the year-back-home mark has come and gone. It’s crazy to think that we’ve been back for longer than we were there! I still feel a bit like I’m getting my bearings. There’s so much I don’t miss and am glad to be shot of, but the pace of life in the village really couldn’t be beat. A good book and a cup of tea on my porch while the nuns paraded by and double-hand-waved good morning is an experience I wish I could bring back. But this last year has also been incredible! We must Skype about it. Sorry I’ve been a neglectful Skyper. I’ll email now to set a date! Another brilliant blog, John and thoroughly enjoyable. It sounds very much like you have a great yearning to return to Rwanda. You get to look more like Ben Fogle every blog! Enjoyed this blog John and you never know what life brings and one day you might get to go back to Rwanda, which is clearly a place you have a soft spot for.